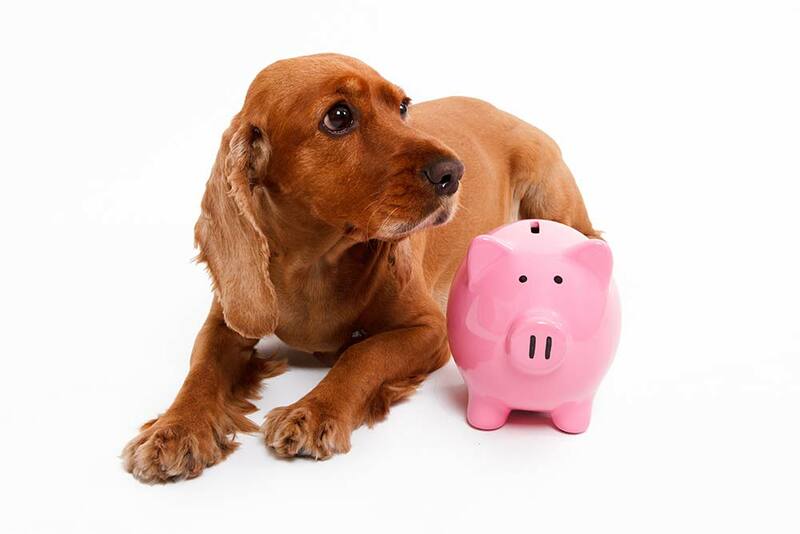 RAW: How can I save money feeding my dog a raw diet? Diet is the foundation of a dog’s health. Dogs are carnivores and are designed by nature to eat, digest and absorb the nutrients that occur naturally in raw food. A dog’s genetic makeup in 99.8 percent identical to the wolf. If you’ve ever seen a video of wolves taking down their prey, they eat everything, always beginning with the most nutritious parts of the animal — the organs. Have you ever known a dog to choose vegetables over meat? Not mine! I have three dogs; Caddie (Rottie, 9), Chopper (Husky/Lab, 6), and Skully (Pug/Poodle, 4-½). Although my other two have stomachs of steel, like many Rottweilers, my Caddie has a sensitive digestive system and raw food really helps to keep her (pardon the frank talk here) gassiness to a minimum. 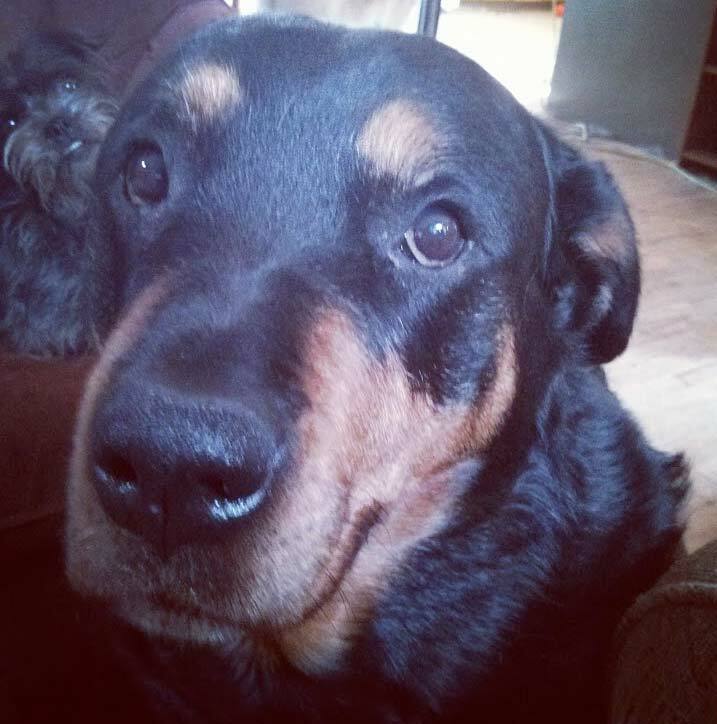 My girl Caddie, with photobomb by Skully. Healthy teeth and gums and calcium from the meaty bones. You can also provide recreational marrow bones for teeth scraping action, but they are not meant to be eaten. Healthy skin and coat, which means minimal to no shedding, and thick and glossy fur. Skin issues like hot spots, itchy skin, and rashes also disappear. Less poop is my favourite thing! Stronger immune systems with big improvement in inflammatory conditions, and many pet owners see improved or no flea and tick infestations. A leaner dog with an increased metabolic rate and a higher level of energy is a happy dog! With 3 dogs, a full raw diet is too expensive for me, so I feed all my dogs a very high quality kibble and use Primal chubs to give them the benefits of a raw diet, at an affordable price. And because I am feeding them a very high quality kibble, I don’t have to worry about balancing their diet. Primal chubs are the most economical way to give your dog the full benefit of raw, with minimum effort. But since mixes and grinds don’t contain all the supplements of some of the other Primal products, you would need to supplement with Omega 6 fatty acids and greens to round out your dog’s diet. Adding meaty bones like chicken necks and backs or turkey necks a couple times a week provides plenty of calcium and offers great dental hygiene. Most of us at Global Pet Foods believe that raw is the way to go, and even if we don’t feed a complete raw diet, we have all seen the wonderful benefits of what even a partial raw food diet has done for our pups. Stop by and ask us any questions you may have, or leave a comment here. We are here to help you keep your dog healthy in any way we can.